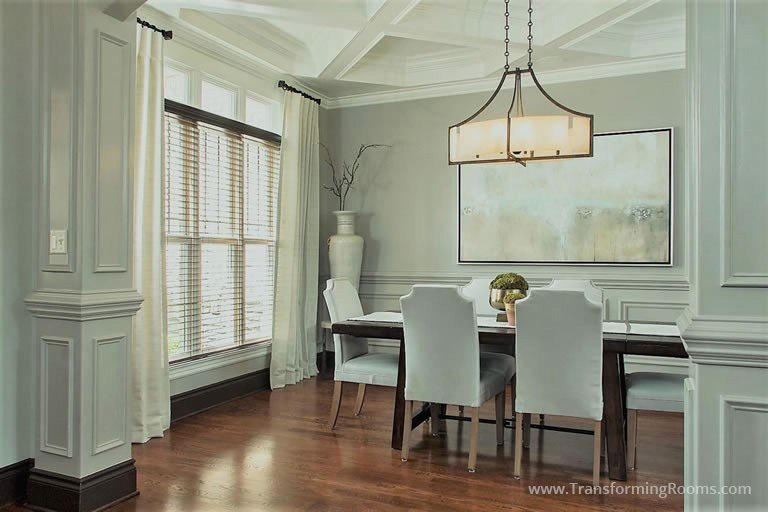 Transforming Rooms Interior Design, Greensboro, NC is the highest rated interior design firm for customer reviews in North Carolina. Our interior designer services for home decorating and remodeling earned best of Houzz in Client Satisfaction six years running! 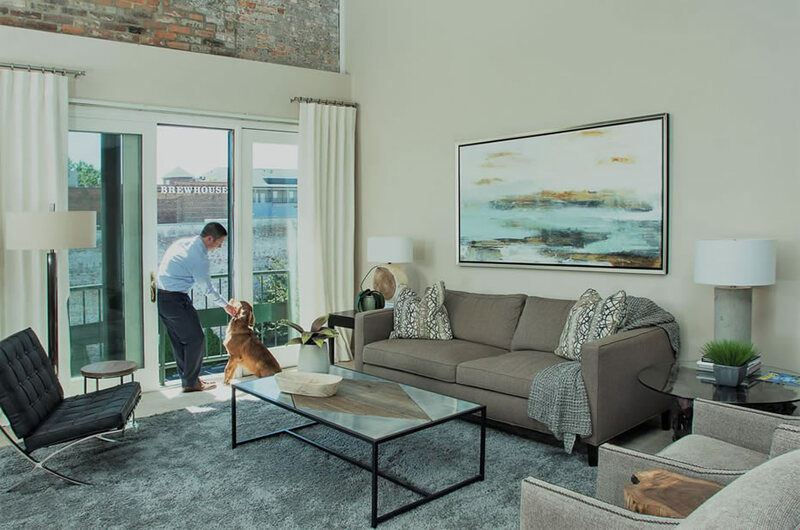 We make visualizing easy, with onsite viewing of furniture, rugs, and art. This is a unique service, it allows you to choose from the best options, in the convenience of your home. View over 50 BEFORE and AFTER transformations Below! For remodeling, new construction, kitchen and bath design, our professional interior design services include space planning, color and material selections, lighting, and innovative ideas. 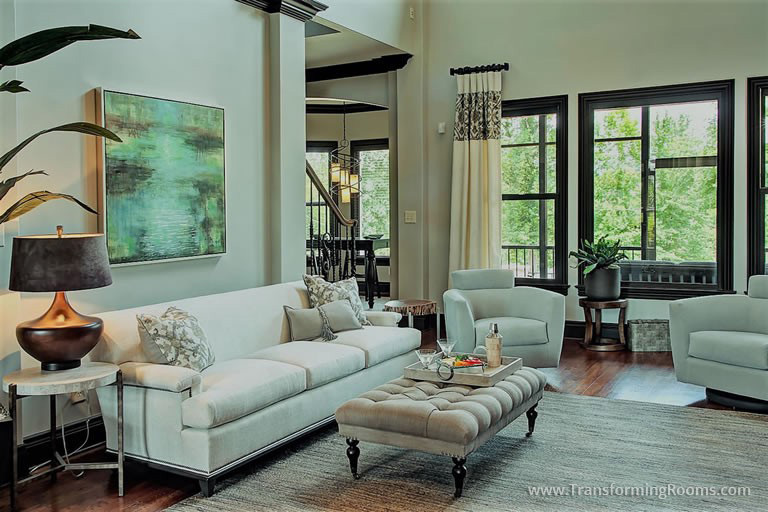 Our excellent service, creative interior design ideas, and respect for your goals earned us Best of Houzz In Client Satisfaction the past six years in a row! 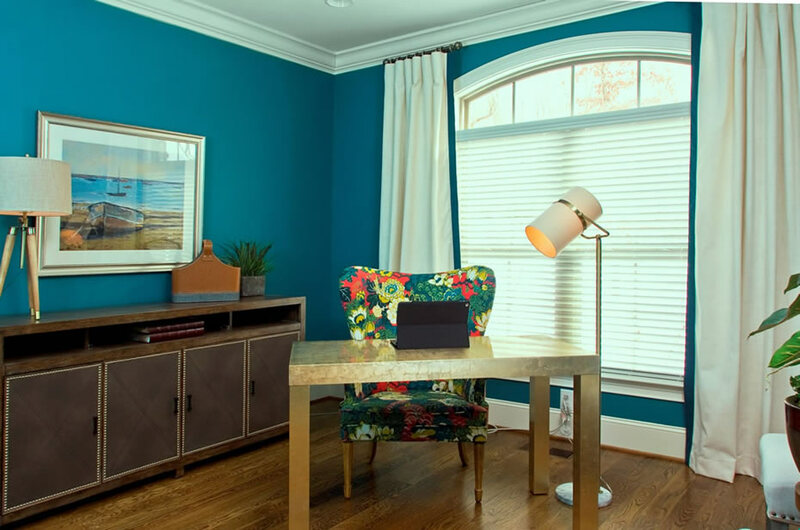 Our 20 + years of experience benefits you, whether you're interested in custom window treatments, one room makeover, updating an entire home, or a commerical office. After one design consultation, you'll see what sets us apart. See '15 Ways we are Unique' in the About Us section of our website. 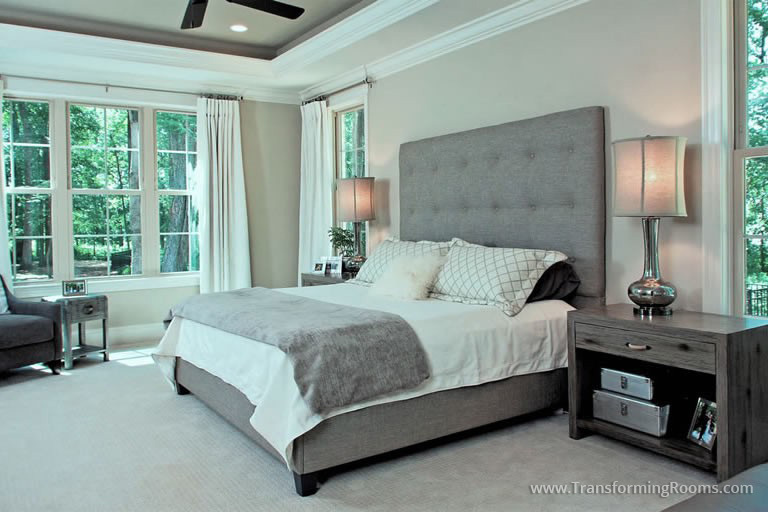 Transformations with before and after interior designer rooms. A variety of styles and budgets are shown. See transformations through furniture arrangements, new wall colors, better lighting, art, and updated fabrics. Our portfolio sections show the numerous ways rooms can be updated. 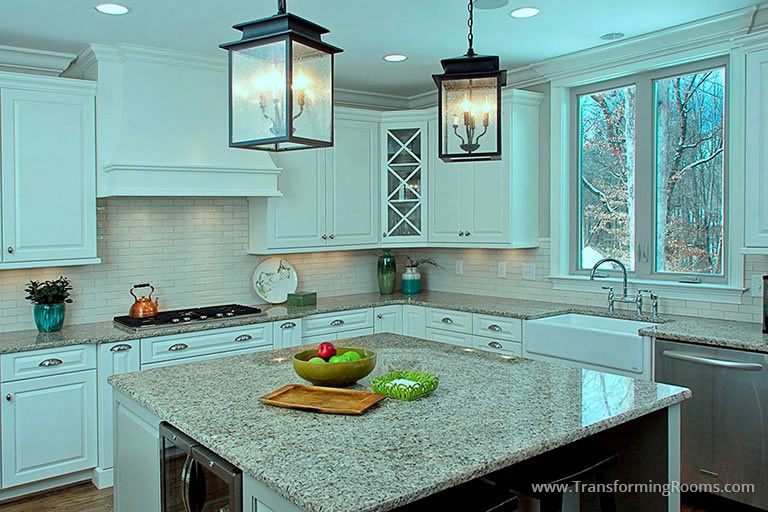 These makeovers are a small representation of how we can adapt to your taste and style! Notice rooms which show ways to achieve a new look, even while keeping existing furnishings, or without major remodeling. We serve Greensboro, NC, Winston Salem, NC, Kernersville, NC and the surrounding area. See over 160 reviews online, which rave about our unique home decor items, such as our beautiful artwork, drapery fabrics, quality seamstress work for custom window treatments, and one of a kind furniture pieces, all at reasonable prices. 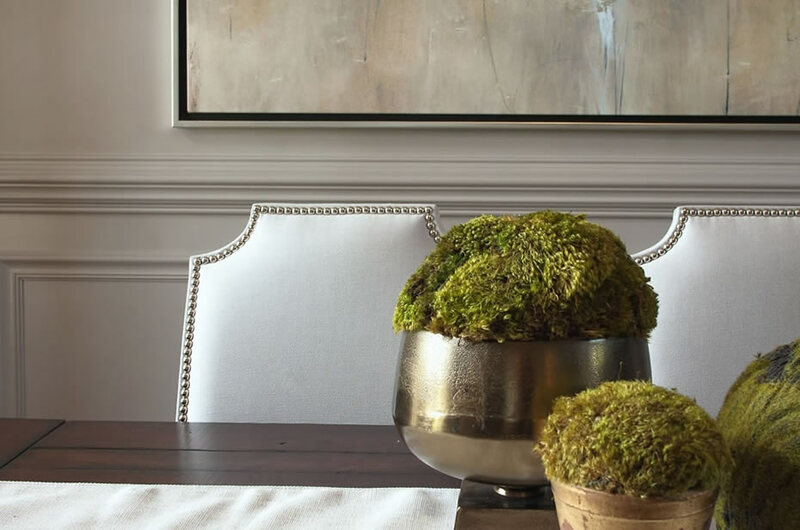 By appointment, we coordinate the best options to transform your home! Whether you want one design consultation or assistance with a large transformation, we help you achieve the look you've always desired. Which design firm: Not all design firms have the years of experience or the communication skills necessary to help you achieve a home you love. 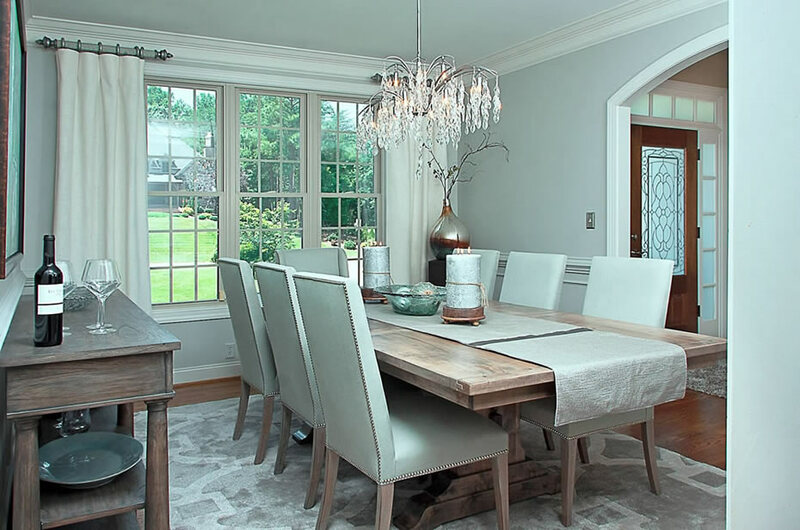 Whether you need assistance making rooms more inviting, or functional, or help with combining styles when they differ from your spouse, our years of experience benefits you. 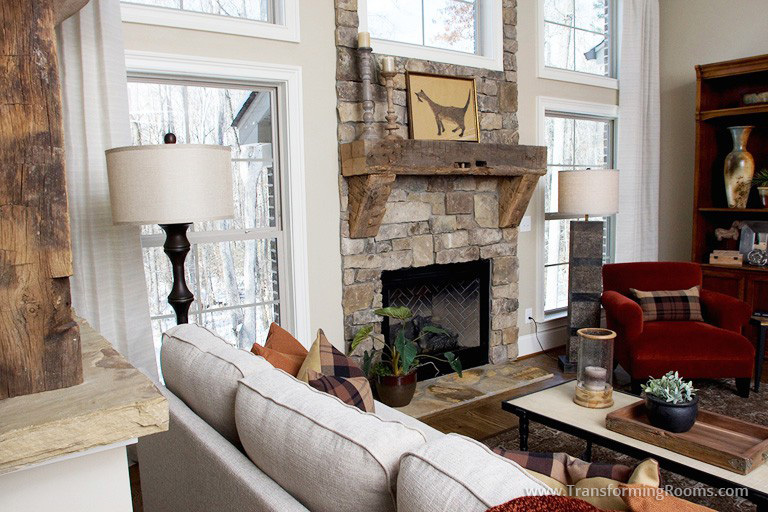 These photos and descriptions show ways we solved what the homeowners did not like from a prior design firm's work. This reflects our ability to listen to your goals & provide styles you love. Custom Window Treatments: We make custom window valances, roman shades, drapes, cornices, custom bedding, and window treatment hardware. We provide a very unique service. We narrow down the best options, then spread the fabrics out in your room. This service allows you to visualize, so you can avoid costly mistakes that occur when ordering from a small sample swatch! We stock thousands of beautiful drape and upholstery fabrics, at amazing discounts! Read numerous reviews that rave about our competitive prices. From the design, through fabric selection, to sewing and installation, we are your one stop source. Our fabrics are amazing on our upholstered headboards, cocktail ottomans, upholstered dining chairs, and benches. 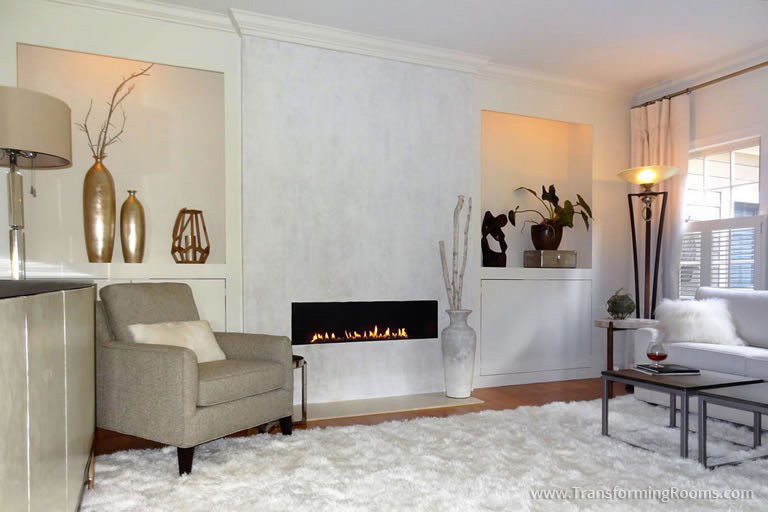 Art & Color: Art and new wall paint make a big impact in a room makeover! We are the triad's best source for art. We have original art in fresh new styles, not found in art galleries. Our huge selection of art ranges from large sizes for today's taller ceilings, to smaller art for groupings. Whether you're interested in abstract art, local art, prints, or art on canvas, we are the best source in the Greensboro, NC and Winston Salem, NC area. Our years of experience allow us to guide you to the correct size and scale art for your room. Best of all, we bring art to view in the convenience of your home! Design Solutions: We solve what you don't like about your home. We offer creative solutions to space problems, flow, to lighten a dark room, to obtain the best furniture layouts, and more. 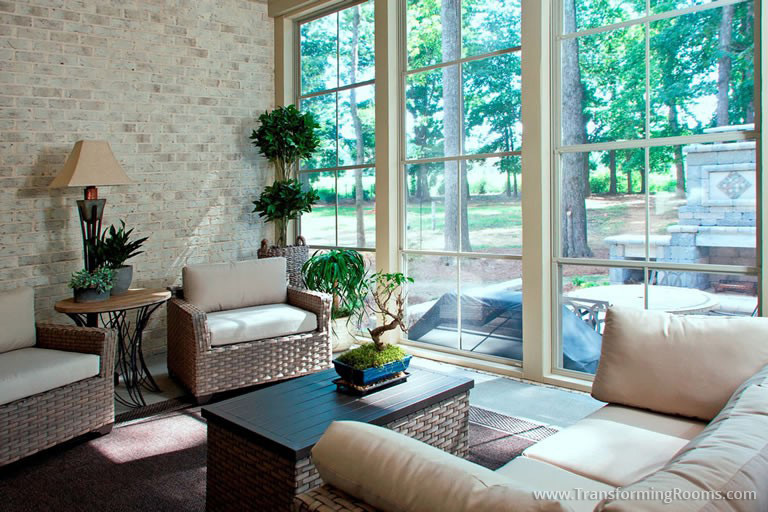 You'll notice no two homes look alike throughout our portfolio. That's because we listen to your goals, and provide options that reflect your taste. Whether your design style is metropolitan, traditional, contemporary, electic, or your own unique design style, we can accommodate. 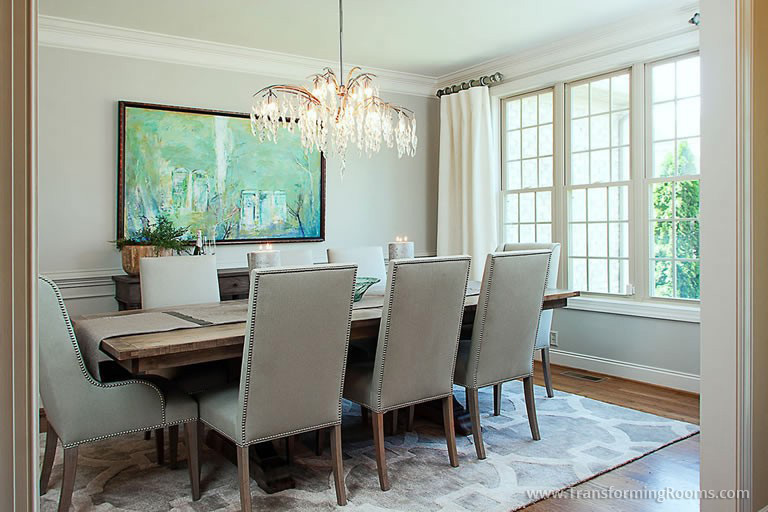 Often clients do not know how to convey what they like, that's where our unique service of on site viewing of furniture, art, rugs, lighting, and accessories makes it easy for you! 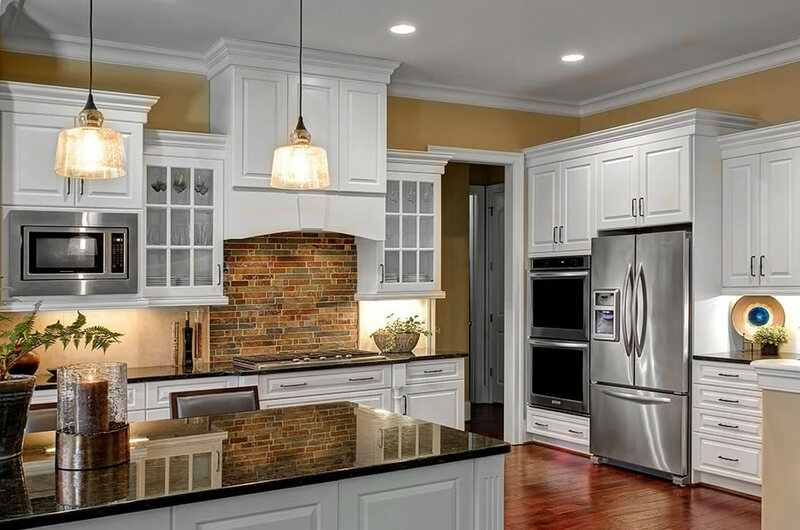 Remodeling & New Construction: We provide cost effective solutions for updating bathrooms, kitchens, mantles, bookcases, porches, patios, built in cabinetry and more. While other companies quote the one product or service they sell, we have a variety of services, so we don't try to push any one particular product or service. Our client expressed it best "Your designs cost thousands less than what other's suggested, providing the updated look we were after". Our philosophy is simple and straightforward: We show you ways to get the most impact for your budget, with attention to detail that is second to none. For the majority of our design services we do not require a contract, we know that if you're happy, you'll be a loyal customer for years. Be sure to check out the ABOUT US page, with 15 key questions to ask before hiring an interior designer. Check out our Facebook, Pinterest, and Houzz links below. We look forward to helping you love your home!